You need help with the dusting and sanitising of your property after some repair, building, conversion or interior changing project? We are the people to contact to ensure the healthy and neat condition of your rooms and buildings. 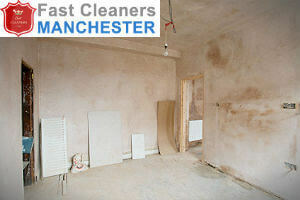 We can offer you cost- effective and trustworthy after builders cleaning in Miles Platting, M40. All of our cleaners are supplied with top-quality detergents and preparations for sanitising and possess the necessary skills to do the work. They provide wiping and hoovering of the hard surfaces, furniture and floors, cleaning of light fittings, sills and doors. Get in touch with us to book the after builders cleaning we provide. GET A FREE QUOTE or call us at 0161 850 0952 and book your service. If your home or property have been left in dusty and messy condition by the workers you can use our services to have it sanitised. The cleaners in our company carry out removal of construction wastes, plaster, dust, cement and paint splashes from hard surfaces. Use our after builders cleaning services provided in Miles Platting, M40 at affordable rates. Our staff work with heavy-duty industrial vacuum cleaners and pressure washers, ladders, scrapers, mops and cleaning solutions. They can make your property ready to be used and hygienic after providing effective sanitising of the floors, furniture, shelves, sills, doors, light fixtures, etc. You can rely on the cleaners in our company to carry out effective removal of all dust, plaster, paint, cement and dirt marks and splatters from your rooms. If you have changed the interior of your property, converted your basement or loft or redecorated a room you can use our cleaning services to make the place rid of dust and soiling. 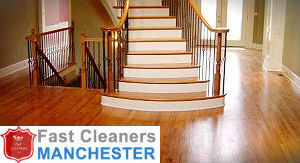 The after builders cleaning services provided by our company in Miles Platting, M40 are cost-effective and affordable. Use them to ensure the presentable and spotless state of your home or business property. We can guarantee you excellently sanitised rooms, patios, walls and areas. After the builders and workers leave the property usually there is a lot of mess which needs cleaning. Dust, plaster, cement, glue and construction wastes can be found everywhere in the rooms and outdoor areas. To ensure the clean and hygienic condition of your home use our affordable after builders cleaning provided in Miles Platting, M40. We work together with the customer to make sure we deliver the work each one expects. Call us and book the sanitising of your property for a preferred time and you will get the work done effectively. If you need more information contact out kind representatives and they will assist you.